The Yorkshire & Humber AHSN (Academic Health Science Network), in partnership with mHabitat, announces that applications for the 2019 Propel@YH digital health accelerator programme are now open. 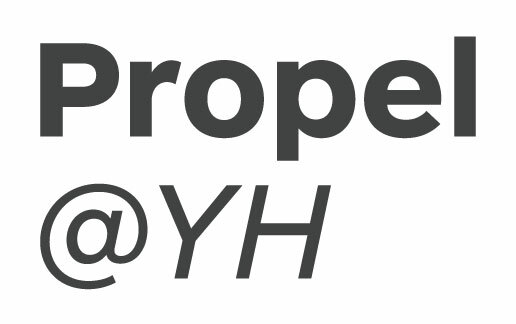 Propel@YH has been launched to provide innovative organisations developing digital health solutions with access to a structured course of support and advice aimed at helping its business cohort to navigate the NHS, whilst enabling accelerated company growth and increased market presence. The programme is open to all SMEs that can demonstrate innovative digital and patient solutions and have either an existing presence in the Yorkshire and Humber region, or are willing to establish one. It will provide a unique and tailored set of advisory, guidance and support services to enable global organisations to bring innovative digital health and patient solutions to the region’s population and the wider health economy. Six organisations will be chosen to take part in a six-month programme of masterclasses, digital innovator surgeries and events focused on human-related design, clinical safety by design and understanding NHS procurement. They will also have access to expert partners – including NHS providers and commissioners, academic institutions, primary and secondary care organisations – and receive expert mentorship and dedicated one-to-one support on topics including marketing, law and finance. In addition, patient representatives will be involved in helping the cohort to develop a patient-centred, co-designed approach to their work. Meanwhile, a further six organisations will receive an associate support package, including access to selected courses and sessions. The accelerator programme, which will be based in Leeds, has been commissioned by Yorkshire & Humber AHSN and will be delivered by mHabitat, an NHS-owned co-design specialist and expert in the application of digital to health and care. Richard Stubbs, Chief Executive for the Yorkshire & Humber AHSN said: “I am delighted to announce that applications are now being accepted by Propel@YH for its inaugural accelerator programme. We’re looking forward to hearing from digital health innovators that would like to find out how our access tailored support, guidance and advice in navigating the NHS can benefit their businesses. “The NHS Long Term Plan announced last week re-established the importance of using state-of-the-art technological advances to improve outcomes for patients and the need to speed up the digital innovation pipeline to help to sustain the NHS for the future. Digital health innovators may apply for a place on Propel@YH via www.propel-yh.com until applications close on Thursday, 28 February.